Here are 10 of these fascinating places where there is no trace of homo sapiens sapiens. Why not start with a disturbing castle? The Chateau Miranda, in Cellesse (Belgium), was originally built by French aristocrats who had escaped the revolution. During the Second World War the Chateau Miranda became an orphanage. Was abandoned in 1980 after the family refused to allow the authorities to take care of the structure. Because of its past, this haunted castle remains one of the favorite destinations for ghost hunters. 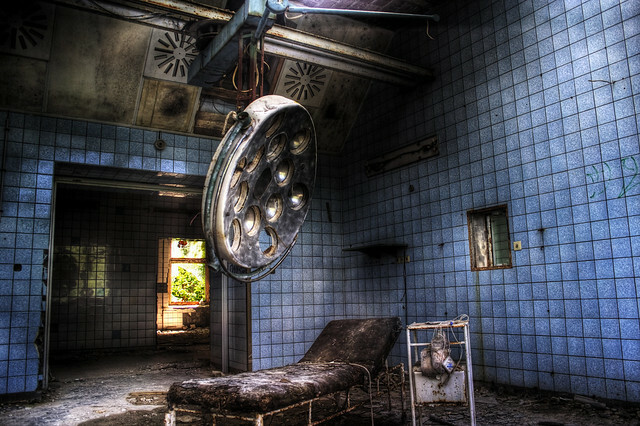 The Military hospital in Beelitz, Germany, is really scary. It's scary not for the ghosts, but for the suffering of humans who inhabited it. Built at the beginning of the twentieth century, with the aim of hosting tuberculosis patients in a place far from residential areas, surrounded by greenery. It is said that Hitler himself stayed there for a few days during the First World War. Now it lies abandoned with its creepy deserted corridors. Armed conflicts often make their mark on no one's territory. 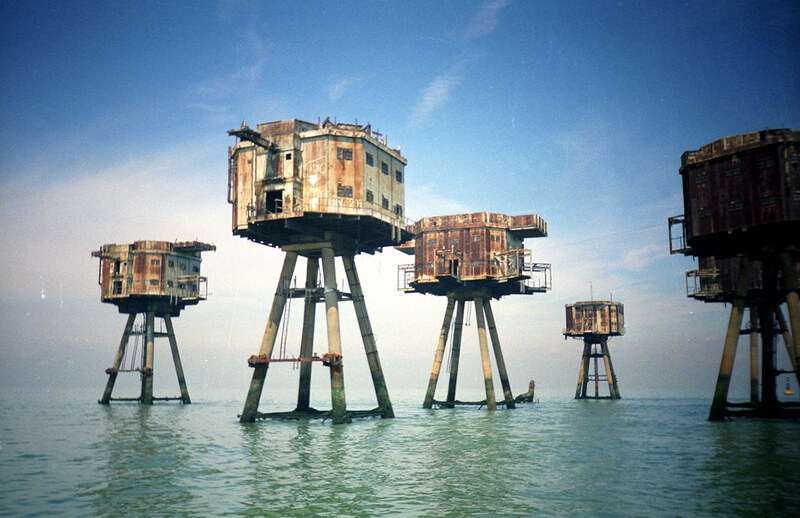 And where the armies pass, ghost structures remain to echo what it was: Maunsell Forts, in Sealand, United Kingdom are an example. Originally these forts were built during World War II in the Thames and Mersey estuaries to protect the banks of the Thames. Now they are lifeless. With the exception of one, claimed by the Principality of Sealand, a micronation off the English coast. What do you think about a lighthouse? A romantic place or scene of scary stories? 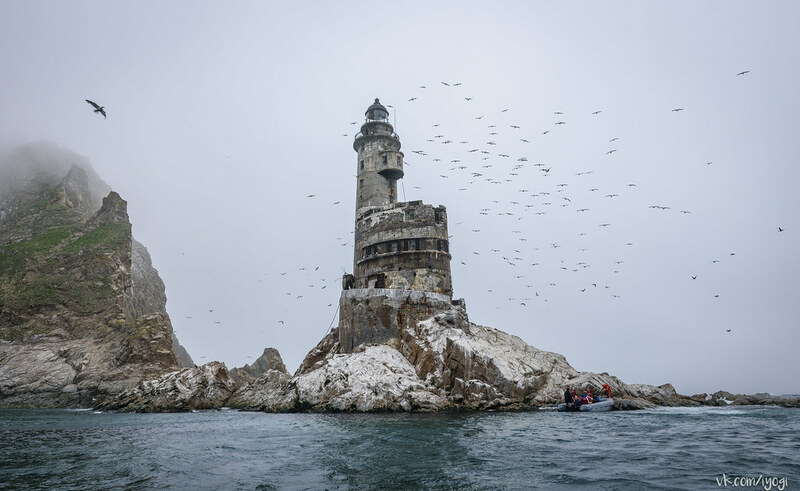 Aniva Rock lighthouse, in Sakhalin Region, Russia, initially was a penal island used by the Russians, much sought after by the Japanese. Now a territory controlled by Russia lies abandoned in the seas between Japan and the east coast of Russia. What do you say instead of an old mine never used? 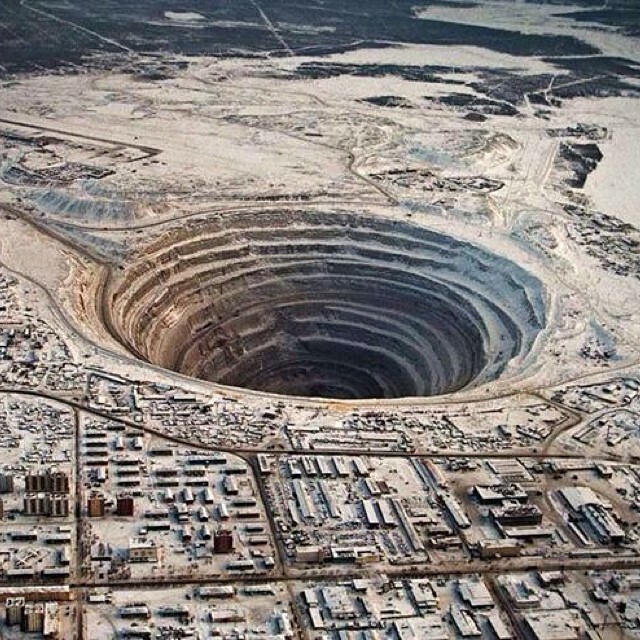 Mirny's diamond mine, in East Siberia, is the second largest hole in the world made by man. Mirny was built by Stalin to meet the demand for industrial diamonds of the entire Soviet Union. Further attempts to dig deeper were abandoned because it had become virtually impossible and uneconomical to continue with the work. Let's go to the American continent. 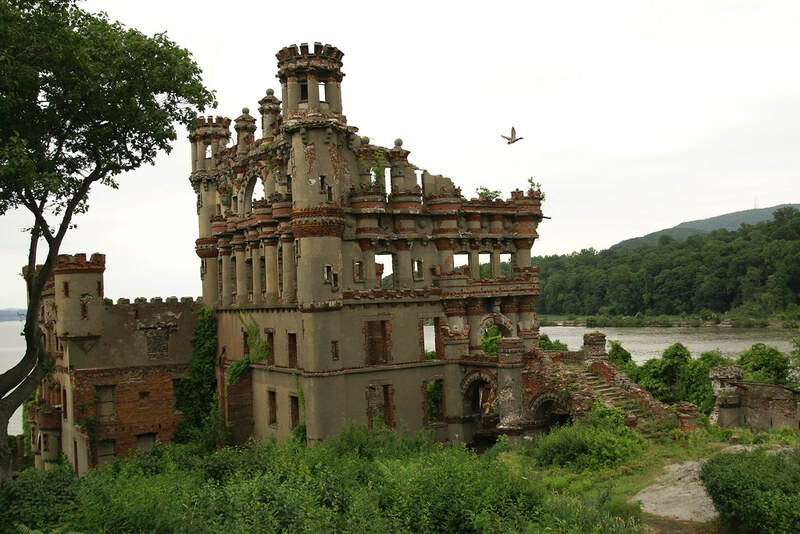 Bannerman Castle, in Pollepel Island, New York, was built by Francis Bannerman VI, an antique dealer and Scottish merchant. He had this castle built to store the war material of the Hispanic-American War of 1898, then auctioned by the US government. But in 1920, 200 pounds of ammunition exploded, destroying a large part of the Castle that has since been abandoned. 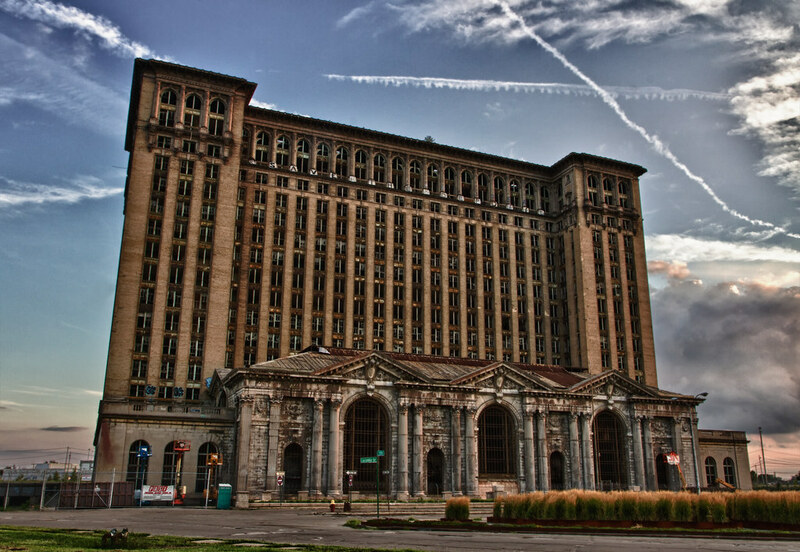 Equipped with charm and mystery is Michigan Central Station, in Detroit, Michigan. Built between 1912 and 1913, the Central Station was the Detroit railway station, the tallest rail station in the world at the time of its construction. With the closure of the line in 1988, it fell into disuse and any restructuring plan failed. Let's move now to Massachusetts. The New Bedford Orpheum Auditorium is a magical place. It seems to still feel Mozart and Beethoven etched in the walls. 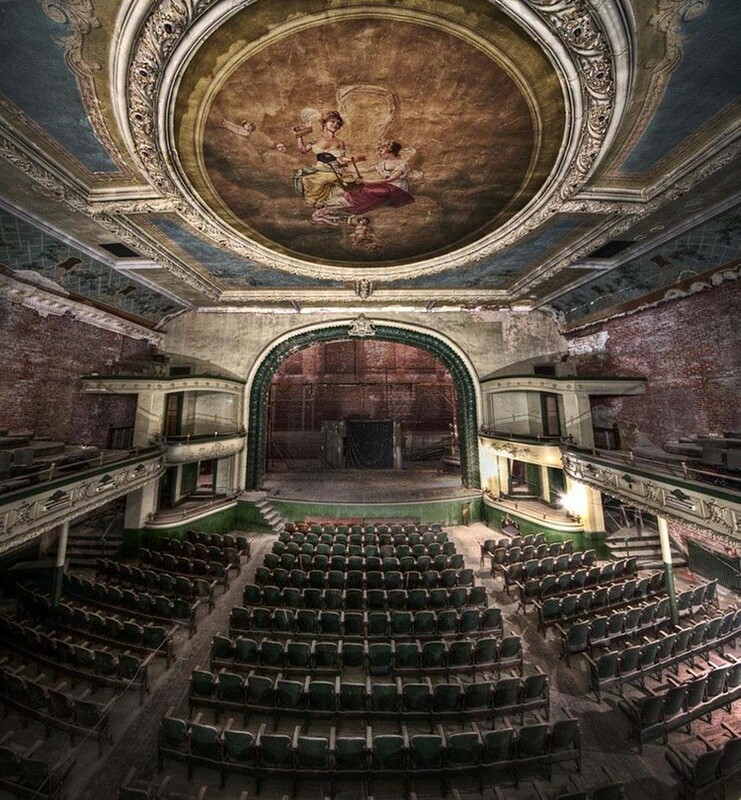 This Auditorium opened on the same day that the Titanic sank on April 15, 1912. Now a good part of the surface is occupied by a supermarket, but the rest remains deserted. Isla de las Munecas, south of Mexico City in Mexico, became famous in the fifties when a man named Julian Santana Barrera occupied the island to live alone. 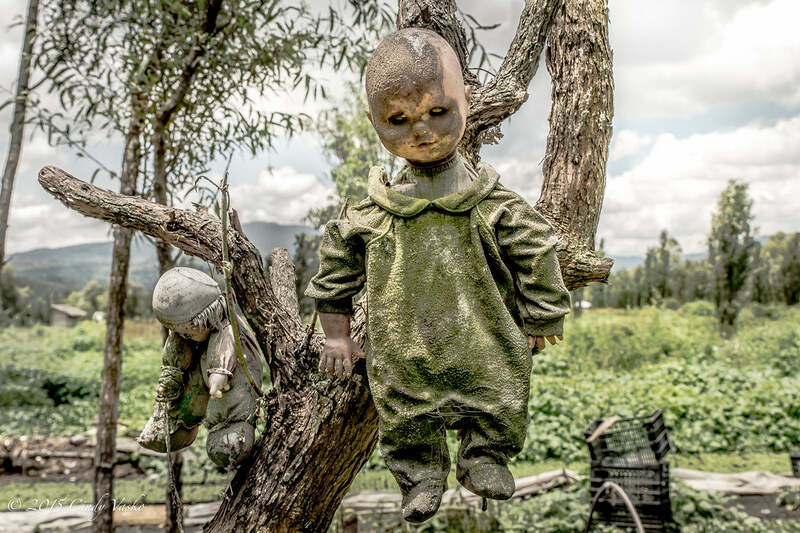 One day, Julian found the body of a dead girl together with her doll in a canal: as a last act of pity for the little girl, the man hung the doll from a tree and from that day began to collect dolls and the remains of dolls hanging them on the island's trees as if to drive away any evil spirits. And what if we would go underwater to look for Atlantis? 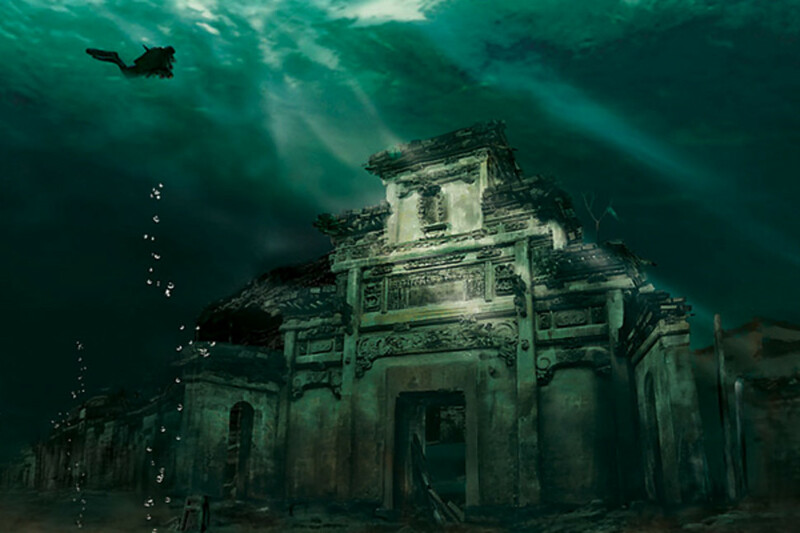 The sunken city of Shicheng in China, founded 1,300 years ago, has continued to live underwater for 53 years, since the Xin'an River hydroelectric plant flooded the area where it stood.